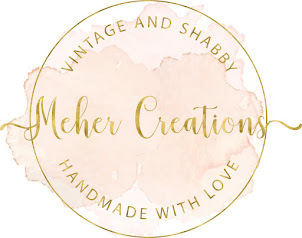 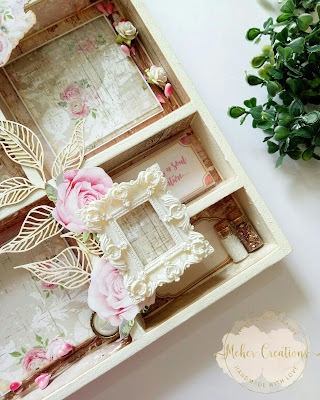 I'm here today to share one of the beautiful shadow boxes I created recently. 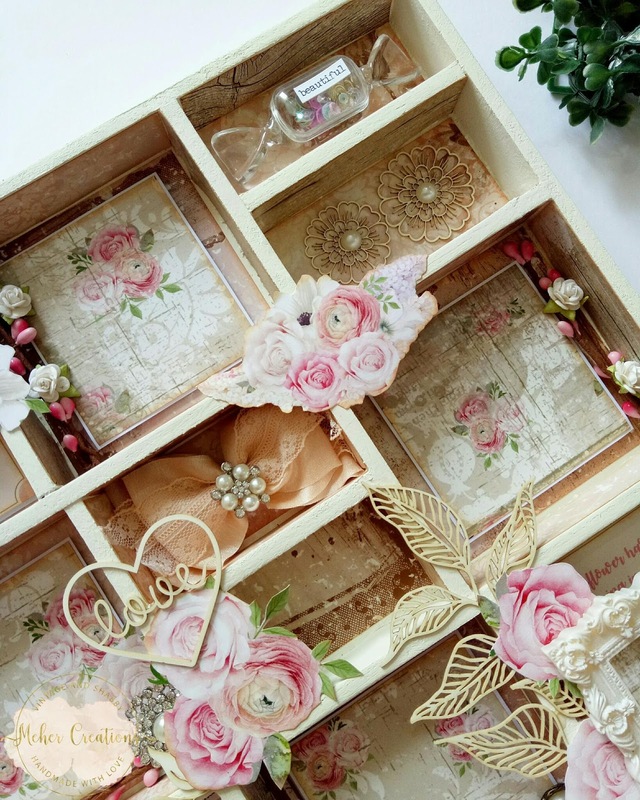 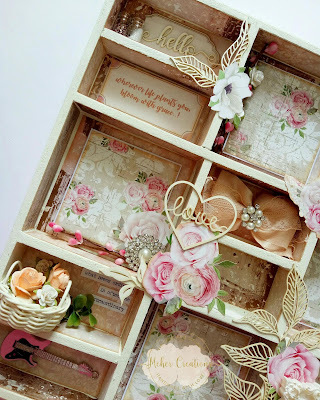 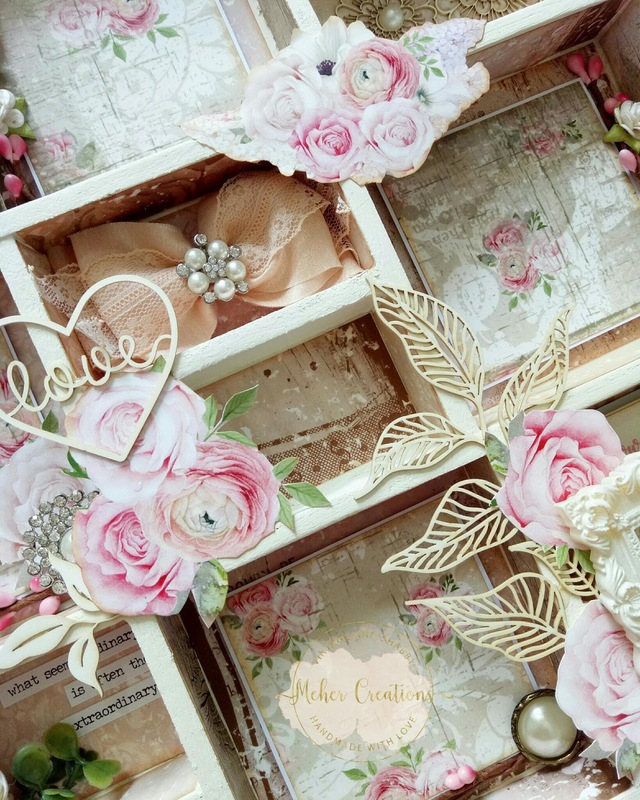 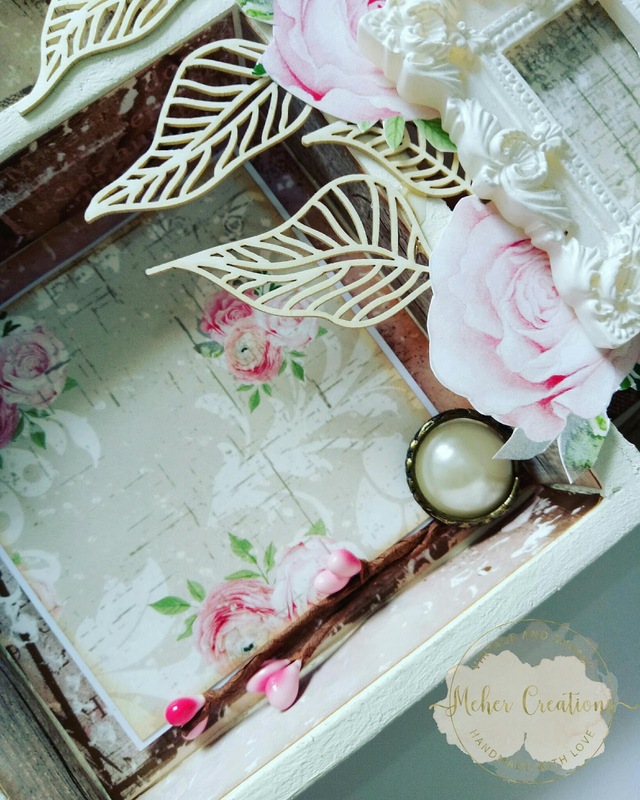 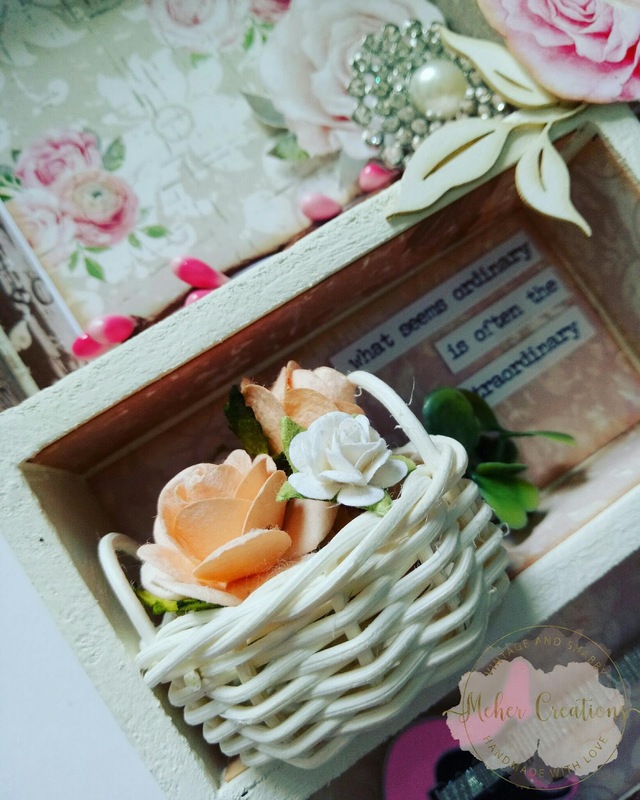 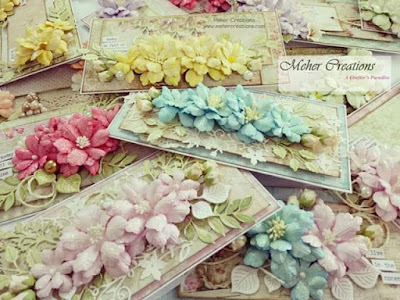 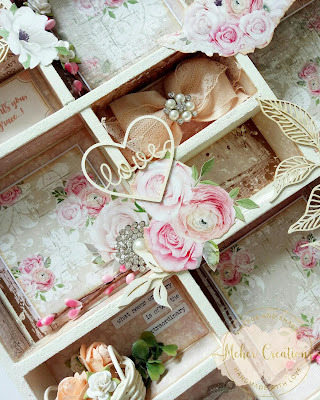 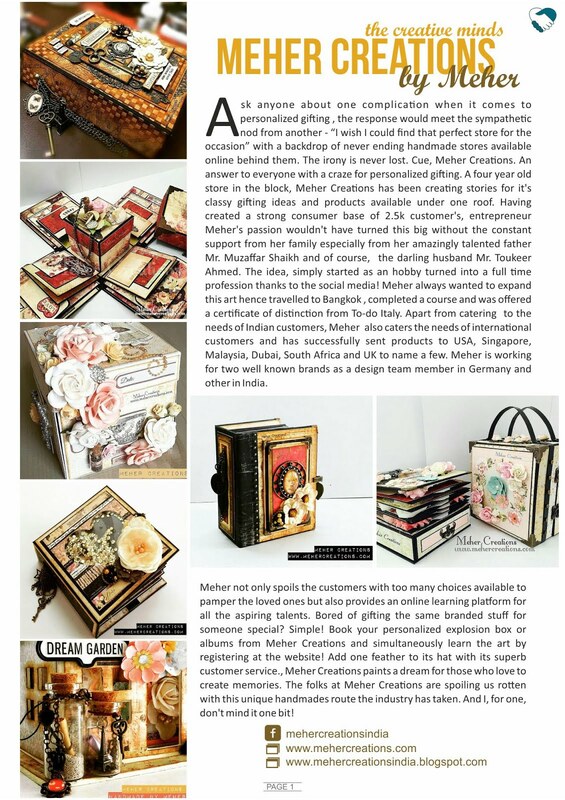 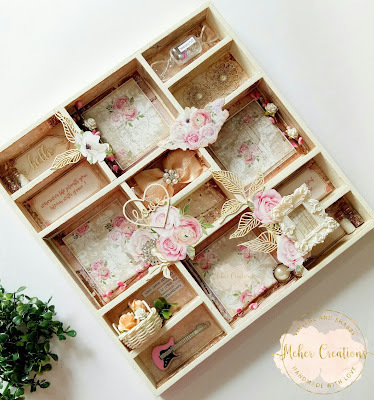 This is a shabby chic shadow box decorated with a lot of chipboard embellishments, some beautiful roses from the paper collection, baskets, mulberry flowers and a lot of other beautiful accessories. This shadow box measures 12*12 inches and holds 6 photographs.